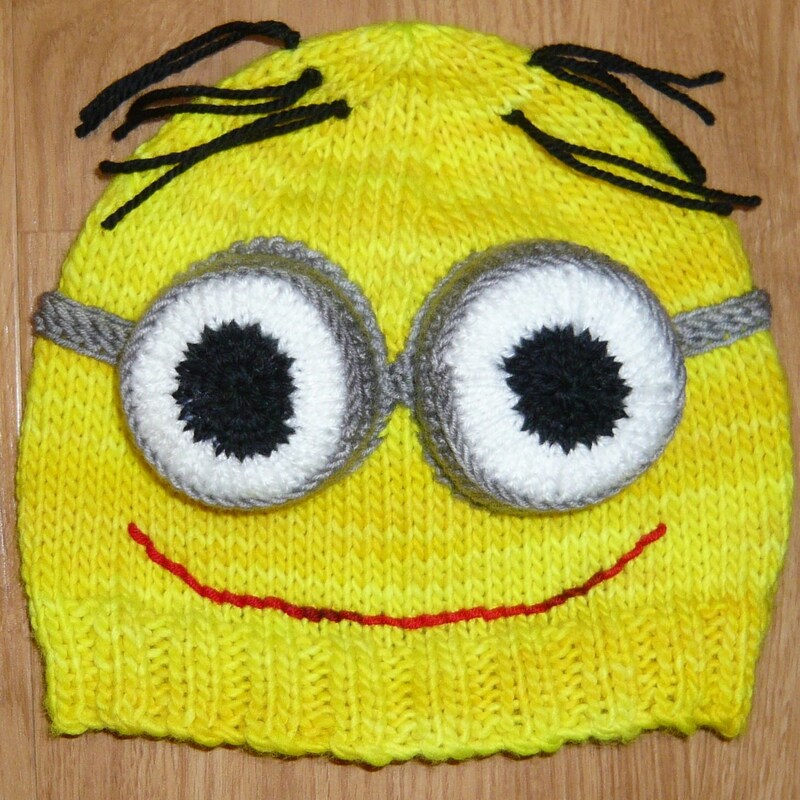 This Despicable Me Minion hat knitting pattern is a fun knit that kids will love to wear. My pattern has row by row instructions with pictures to illustrate it. 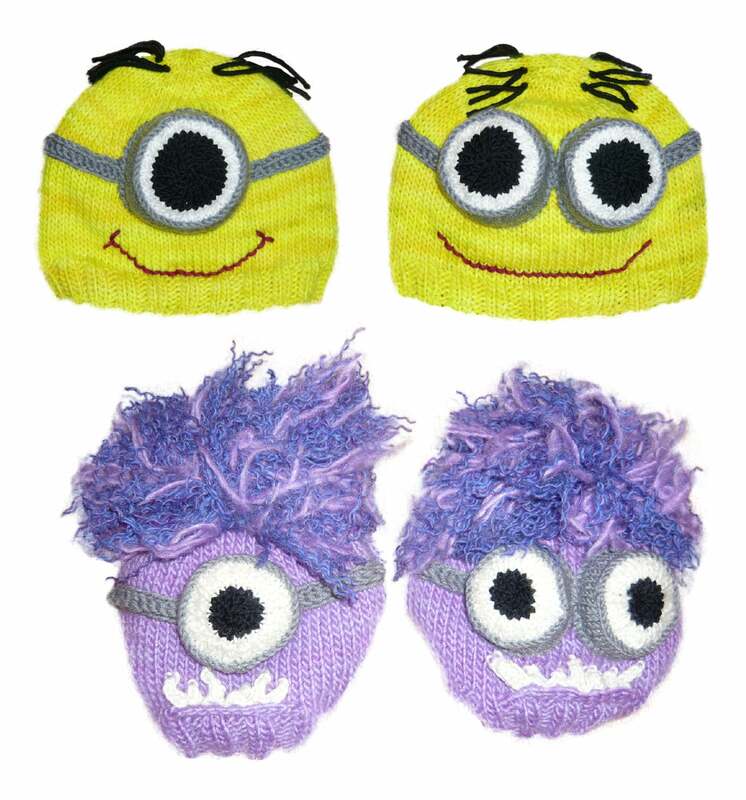 To create your hat you'll need to be able to cast on, knit in the round, purl, knit two together and pick up stitches. A couple of really basic crochet stitches are also used. YouTube is an excellent resource if there are any stitches you don't know and I also offer help by email. I've used aran (worsted) weight yarn and 5mm needles for the hats pictured. They are "child" size and fit approx. 20-22" heads, which in our playground covers the age range 2 -12 years. 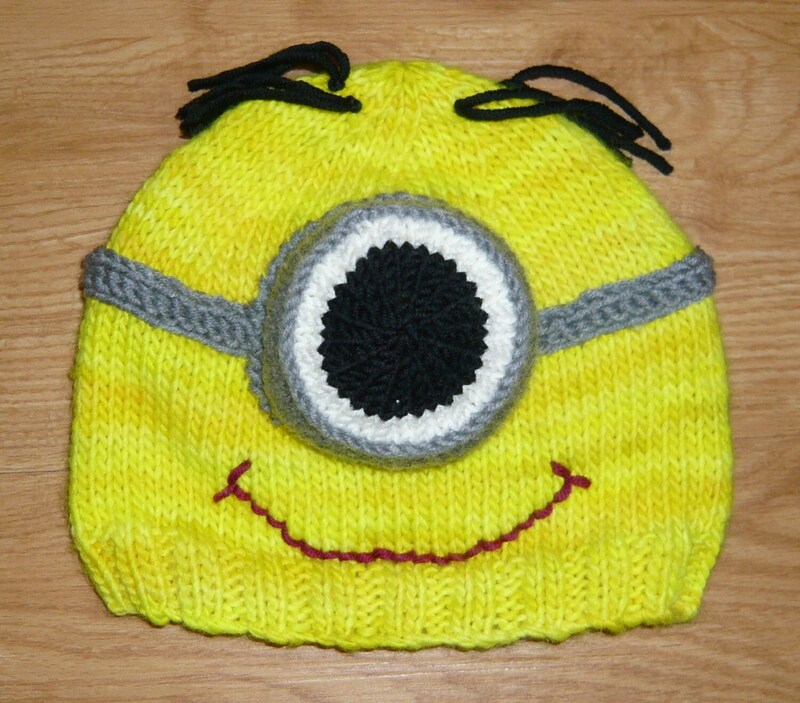 There is basic guidance on altering the number of stitches to fit slightly smaller or larger heads in the pattern. I offer email support so I can also advise you personally should you wish to make greater changes in sizing. 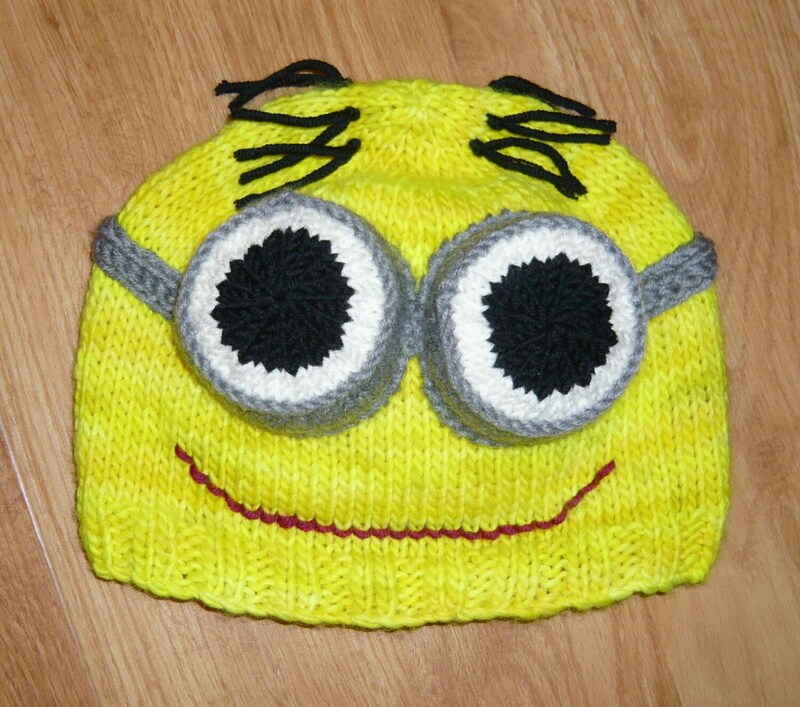 You will be able to download the pattern from etsy once you have paid. If you have any problems doing this please convo me as I can easily email it if you prefer! Sold for personal use only including charitable use.